This week we’ve been playing and learning with JJ391 Shapes Memory Board Puzzle by Just Jigsaws. A fantastic peg board shapes puzzle that also helps develop memory skills. It is also a fantastic resource for reinforcing the learning of shapes and colours. This beautifully crafted, hand-cut, puzzle comprises of 5 coloured shapes. Children lift up each shape to reveal a different photograph underneath each shape. The puzzle comes with laminated photograph inserts so that you can change the photographs, and topics easily. 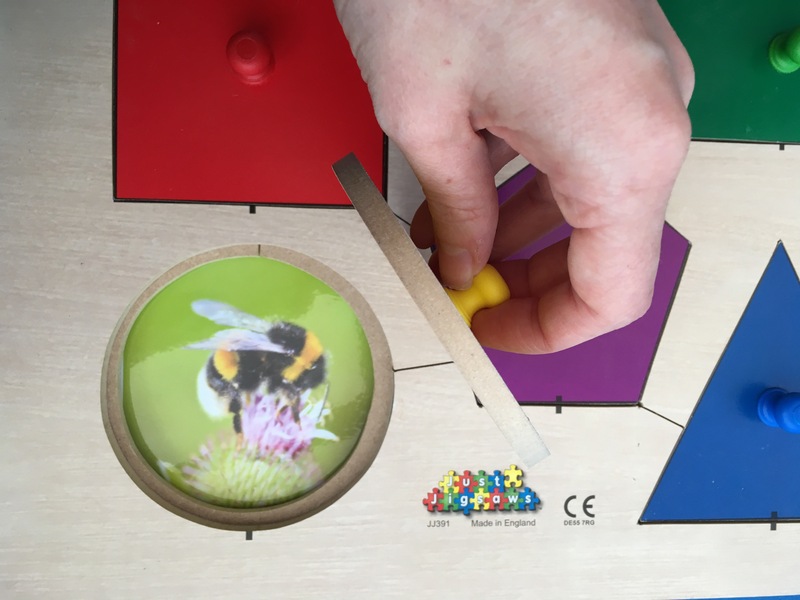 Fun Game for All Ages and Abilities– We loved that there are so many options to differentiate this game, making its suitable (and great fun!) for a range of ages and abilities. On a basic level, children can use the peg board to practice lifting the shapes and learning the names of colours etc. 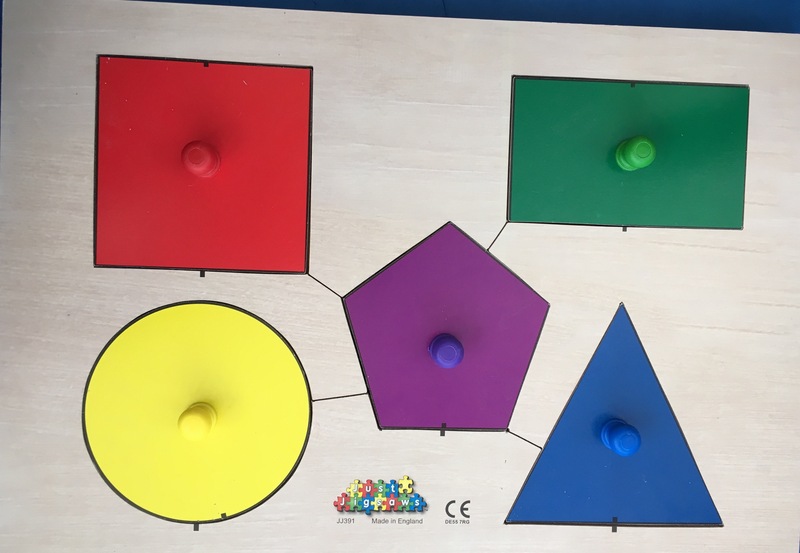 But it can also be used to develop more complex skills such as memory recall (locating each picture from memory) and learning the number of sides on each shapes. Ability to Change the Topic– I loved that the puzzle came with different laminated inserts that we could slide into the puzzle to change the topic. The choice of topics is varied and interesting to children. 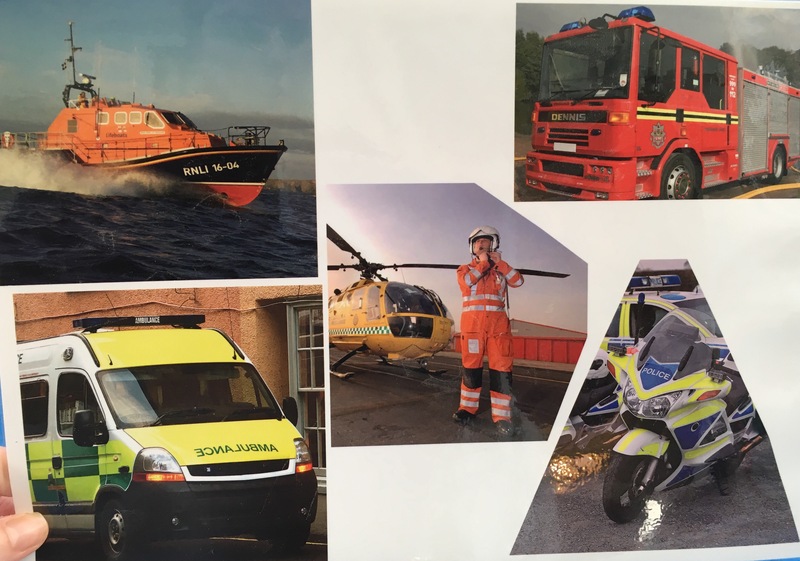 Our favourite was the Emergency Vehicle sheet which is made up of photographs of a rescue boat, helicopter, police motorbike, fire engine and ambulance. You could also easily make you’re own laminated inserts to match a teaching topic. Develops Speech, Language and Communication Skills– We had lots of fun recalling the names of the colours and shapes. We also worked on developing verbal descriptions, by discussing what we could see in the pictures. We found it to be a useful game for getting children talking and developing key language skills. Develops Fine Motor Skills- Lifting each shape and repositioning it back into the correct slot, all develops Fine Motor Skills are it uses the tiny muscles in the hands and fingers- that are required for important skills such as learning to write. 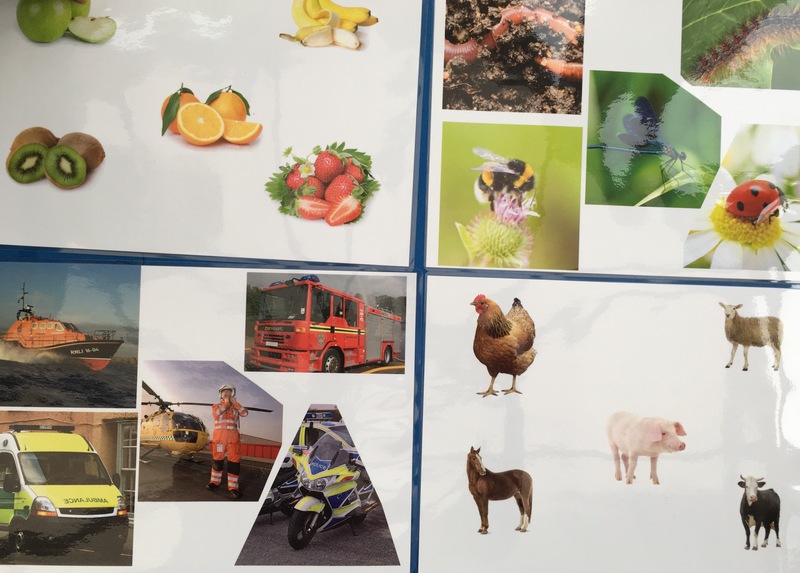 Develops Memory Skills– By asking children questions such as “Which picture is underneath the Circle?” or “Where is the Fire Engine Picture” you can use this puzzle to help develop their memory skills.